You wash your face twice a day and still have blackheads. What gives? Unfortunately, those unsightly little dots aren't cured by washing alone. Facial masks can help cleanse and detoxify your face, giving you the blemish-free skin you deserve. What Are Blackheads and What Causes Them? Blackheads are those pesky dark spots sometimes seen around the nose area. They are technically a type of acne that occurs on the face, but can also appear anywhere else on the skin. Simple blackheads are nothing to get too upset about, since they are the result of acne, a common skin condition caused by clogged hair follicles. 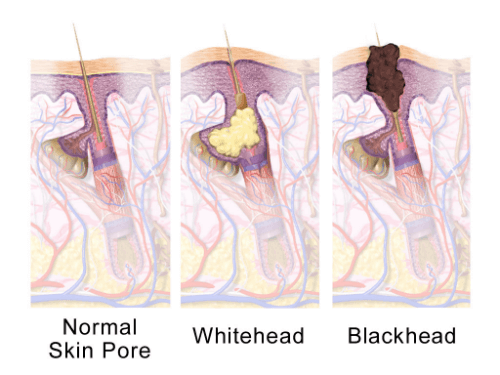 The name blackhead comes from the dark appearance that they give when these clogged pores oxidize with air exposure. However, severe acne can lead to painful and more problematic skin problems and a doctor should be contacted to diagnose and manage the situation. Poor hygiene may also exacerbate the cause of blackheads. Regular cleansing with non-irritants can help reduce the appearance of blackheads. Masks can also be a way to treat and manage simple blackheads at home. You should use blackhead masks if you’re trying to get rid of simple blackheads and you’re looking for an over-the-counter treatment. These masks are often simple to use - just slather on the cream and relax for the next few minutes. Skin Revitalization: Blackhead masks revitalize the skin by soothing and removing the dead skin. Through the usage of peel-off masks, pores can become unclogged and blackheads removed. Cost: Because a limited number of blackheads is not considered a major problem, buying a mask to treat this could be regarded as a waste of money. Adverse Skin Reactions: People with sensitive skin should be wary of blackhead masks and verify that the ingredients will not cause irritation, inflammation or potential scarring. The Milky Piggy Carbonated Bubble Clay Mask can be considered as one of the most fun from this list. This South Korean staple, has become quite popular due to the shape it takes as time progresses. As the name suggests, this mask is made from carbonated water and mud that bubbles up on the skin as it sets. This process softly removes makeup and dirt while claiming to massage and tighten pores. This new concept is also full of botanical ingredients that help cleanse and regenerate your skin. In addition to clay, it contains green tea powder, charcoal powder, matcha powder and other natural extracts. Aside from cleaning pores, clearing sebum and removing makeup, one of the great thing about the Milky Piggy Carbonated Bubble Clay Mask is that it doesn't become stiff after application like other clay masks. Two things to consider: 1) the place of production and the nature of its ingredients may cause product separation during shipping and 2) if scooped out of the jar without the spatula, skin oils may activate the product, causing it to start foaming in the jar. 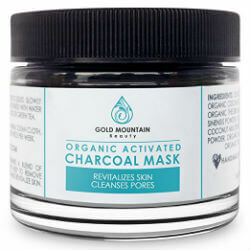 The Activated Charcoal Powdered Face Mask from Gold Mountain Beauty, revitalizes skin and cleanses pores while nourishing and soothing skin. While eliminating blackheads and fighting acne, it also claims to tone and transform the skin. The natural and organic ingredients draw out toxins, refreshing and nourishing your skin. Since it’s an activated charcoal powder, it can be mixed with any liquid ingredient of your choice. Gold Mountain Beauty recommends green tea, aloe vera or coconut water. It’s made from non-toxic ingredients such as dead sea clay, organic activated charcoal, and coconut milk powder. And because you only need a single teaspoon of the product, it will last a long time. One drawback is that due to the nature of the ingredients, water, green tea, or another liquid suited to your skin must be added to activate the product. 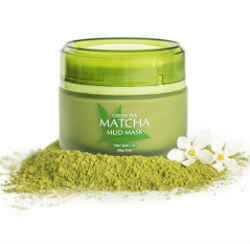 The Green Tea Matcha Mud Mask from Once Upon a Tea is filled with natural and organic ingredients such as green tea matcha extracts, antioxidants, volcanic mud, Hyaluronic Acid, and Vitamin C.
It claims to help heal sun damage and some signs of aging while also resurfacing and removing the dead skin layers. It also helps acne related conditions. This The Green Tea Matcha Mud Mask is infused with natural ingredients like green tea extract, volcanic mud, and Vitamin C. It also claims to protect the skin from free radicals, balancing the skin’s natural pH and evening out the skin tone. 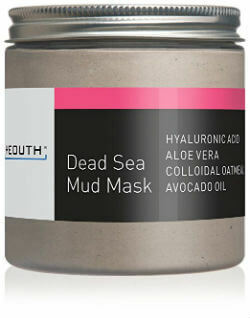 Yeouth’s Dead Sea Mud Mask is said to be restorative and enriched with nutrients and minerals. It claims to detoxify, increase circulation, improve skin health and reduce skin conditions like acne. It’s helpful in clearing blackheads and pimples. The Dead Sea Mud Mask also contains Hyaluronic Acid for skin hydration, Aloe for moisturizing, oatmeal for sensitive skin, and avocado oil for skin nourishment. Its various minerals are absorbed into the skin, helping to detoxify the skin in order to treat blackheads and acne, while clearing and minimizing pores. Bonvita offers a set of two masks that claim to treat acne problems like breakouts and blackheads, while also improving blood circulation, and smoothing fine lines and wrinkles. The first mask is a bamboo charcoal peel-off mask that draws out the bacteria and toxins that cause blackheads and pimples. The second is made from green tea and is said to alleviate acne issues. Both masks contain hyaluronic acid. These masks claim to unclog pores and remove blackheads without skin irritations, breakouts, or itchiness. One thing to consider though: peel-off masks like this one can sometimes be painful. 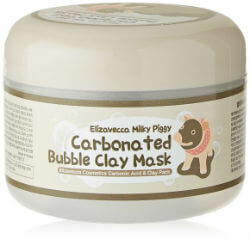 If we were only analyzing the price and the enjoyability of the products, the clear winner would be the Elizavecca Milky Piggy Carbonated Bubble Clay Mask. It’s a fairly easy-to-use product that offers a change in the norm of blackhead removal masks - it’s not a peel-off nor a hard-drying mask. The Carbonated Bubble Clay Mask grows and bubbles on the skin as it sets in, while claiming to massage and tighten pores. The other contender is the Bonvita Bamboo Charcoal Peel-Off Mask & Green Tea Anti-Wrinkle Mask. For a few dollars more, you get a set of two masks instead of one. It’s your basic peel-off mask with the added benefit that it specifically targets blackheads. Bacteria is drawn out with the bamboo charcoal mask, and the skin is smoothed by the green tea mask. Even though each mask is said to help with blackheads and acne, each one also has a few added benefits, as detailed above. The Milky Piggy Carbonated Bubble Mask is best for someone who wants a change in their nightly cleansing routine, while the Bonvita masks are for someone who loves the idea of peeling away dirt from the skin while also looking for a more price-conscious option.